We are excited to announce a major partnership with the world’s #1 accommodations site Booking.com. 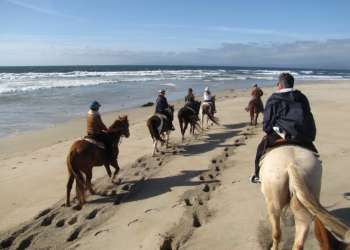 It’s a move designed to increase and enhance the hotel booking process for our visitors and improve the benefits our members receive by participating in the online booking engine at SeeMonterey.com. If you do not already work with Booking.com, here are some key benefits to consider followed by a few testimonials from MCCVB members. Global Visibility - Distribution to 5,000+ affiliate partner websites and free translations into 40+ languages. Flexibility - Open Ended Contract: You control what you sell, no allotments required. Free to sign up - If you don&apos;t get paid, nobody gets paid (Commission-based Model). A True Partnership- Booking.com&apos;s award winning customer service, available 24/7 in 40+ languages and ecommerce best practice sharing from one of the most successful companies in the world. “Our time spent working with Booking.com has been a very enjoyable and rewarding experience. They consistently deliver pleasant customer service, helpful market management and a user-friendly extranet. Each of these readily available tools has been instrumental in our success with the company”.